Democratic socialism is having a moment. From electing open socialists to ending capitalism, here’s what the movement is all about. Simply put, socialists believe that the economy should be run for people, not for profit. In the month since Alexandria Ocasio-Cortez’s shocking primary victory in New York’s 14th Congressional District, the term “democratic socialism” is everywhere. While Stephen Colbert declares that God’s a socialist on late-night television, Bret Stephens warns from the New York Times that democratic socialism is “Dem doom.” In the same publication, Michelle Goldberg insists that the “Millennial socialists are coming,” and that centrism won’t win, while on The View, Meghan McCain screams that she doesn’t want socialism to become “normalized,” shouting Margaret Thatcher quotes at Joy Behar. Media spectacle aside, there are many questions floating around. What’s going on with these socialists in the Democratic Party? How is socialism different from capitalism? And just what do democratic socialists actually believe? With so many questions and so much attention, it’s worth taking a beat to revisit the basic principles of the growing democratic socialist movement in the United States. Simply put, socialists believe that the economy should be run for people, not for profit. We believe that all working people—no matter their gender, race, nationality or religion—deserve to reap the fruits of their labor. Our insistence on this basic premise comes from our understanding that all of the wealth in this country, and in the world, is produced by workers. But right now in the United States, the vast majority of this wealth goes to a very small segment of the population, not to the millions of people that produce it. While capitalists profit off what workers make, workers themselves get just barely enough to survive. Many progressives say that this system is broken, that we need small fixes here and there to make it work better for everyone. Socialists understand that this system isn’t broken at all, that it works just as it is intended: to enrich an elite few at the very top—giving them ever-more control over the economy and politics—off the backs of the many. And, because we are democratic socialists, we believe that we must replace capitalism with a system that puts both the economy and political decision-making under democratic control. Capitalist logic pervades seemingly every aspect of American life. Healthcare policy is driven by private profit: approximately 30 percent of all insurance premiums goes not toward providing healthcare, but to CEO salaries, advertising and lobbying. Many major cities in this country are suffering housing crises, not because there’s a shortage of places to live, but because under-taxed giant corporations move in, drive up the price of land, and open the door to for-profit developers to charge up to five times the rent. Our planet’s health and climate are under constant assault because powerful corporations use the political system to evade regulations and maintain their profits. U.S. foreign policy is based almost entirely in protecting capitalist interests, which has resulted in the United States engaging in violent conflict and wars throughout Latin America, the Middle East and much of the rest of the world. Democratic socialists want to do away with the system that makes all of this possible. We want a political and economic system in which people are free—not dependent on their job for health insurance, not working 80 hours a week just to cover food and rent—but truly liberated to thrive and flourish. So, how will we get there? And—the question that everyone keeps asking—how will we pay for all this? The wealth we need to build the world we want is already here. The problem is that it’s controlled from the top down, by very few people, and not democratically by those who produce it. In order to build the power we need to take this wealth back, we have to organize working class people into a mass socialist movement. That means recognizing that we, the working class, have more in common with one another than we do with the wealthy elite, and that we must fight together for racial and gender justice and against other oppressions used to divide us. Right now, the largest socialist organization in this country, the Democratic Socialists of America (DSA), has about 48,000 members, most of whom joined the organization after being energized and inspired by the campaigns of Bernie Sanders and Alexandria Ocasio-Cortez. In order to harness this energy and continue building the socialist movement, the DSA takes up transformational campaigns and projects decided on democratically by its members through debates and voting. 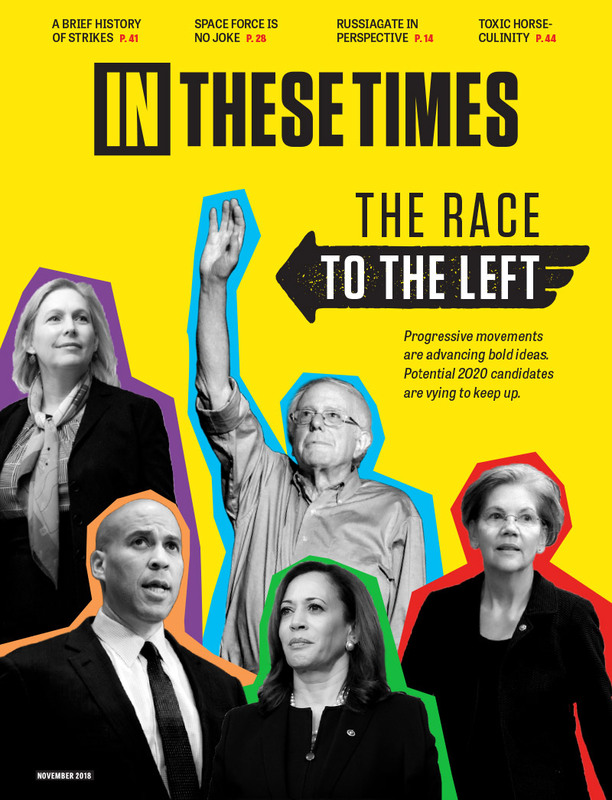 These campaigns include: Medicare for All, which would guarantee comprehensive, free-at-the-point-of-use healthcare to every single resident of this country; abolishing ICE, an agency which imprisons working-class people who seek a better life for themselves and their children while giant corporations cross borders as if they didn’t exist at all; and universal rent control, which would limit the profits wealthy developers make from charging exorbitant rents to working-class people. The DSA is also committed to supporting and building a robust and fighting labor movement, helping workers find power through democratic organizing in their workplaces and showing them that when we organize, we win. Democratic socialists have also embraced selectively involving ourselves in electoral races, not because we believe a single politician can bring about socialism, but because by campaigning for socialist candidates, we can help advance independent politics free of corporate money and achieve reforms that benefit working-class people, all while broadcasting socialist ideas to the mass public. And, in distinction to many of self-described socialist governments throughout history, we know that the only way to win a truly liberatory society is to organize from below. As democratic socialists, we are aware that we have a long road ahead. We also know that it is only by building a socialist movement through organizing democratically that we will win the just world we deserve. "Labor is not the source of *all* wealth. Nature is just as much the source of use values (and it is surely of such that material wealth consists!) as labor, which itself is only the manifestation of a force of nature, human labor power." Problem with confiscation is that the bottom 99% owns over 60% of the shares of stock.....mutual funds, IRAs, 401Ks, pension plans, etc.....you'd have to screw over the non super wealthy in the process. But confiscating the fortunes of the wealthy would greatly restrict their power and influence over the government, and where would that leave us? Oh yeah, with rule by the workers. I am partial to engineers :-) They seem to understand my arithmetical posts better than most.....my son is an engineer too (Civil). He is currently a project manager (vp) for a pretty large construction company (ports, bridges, etc.). he works too much, imo, but seems to like it a lot. For years, I ran my own engineering company and I think that I was always very generous with my employees - too generous per my accountant. Her constant advice - "Keep more for yourself and your future!". I didn't - now my business is gone, my meager savings are gone - and worst of all, I see our country run by selfish, cheese-paring professionals like her. The bottom line is that our country has a lot individuals who are not bright enough to be college-educated professionals, and who somehow can't avoid health problems, family problems, etc. to arrive at a comfortable spot on the Ladder of Wealth. And we must ensure that all of our siblings under God have their human dignity honored. I'm totally with you on the poverty and income inequality thing. I'm just showing how the pro-Socialism folks pinning their hopes on all workers owning all companies and sharing in all profits will only lead to disappointment since, even in the wildest dreams that it would actually come to pass, it wouldn't really amount to much extra money for those new worker/owners and would amount to zilch for all non-workers. There are about 160 million citizens aged 18 and older not on Social Security in the U.S. so to give them each $18,000 per year ($1,500 per month) tax free would cost about $2.9 trillion. To increase the Social Security payments to the 50 million receiving them by $6,000 per year ($500 per month) would cost another $300 billion. 1) $1.95 trillion - a 15% surtax on all individual gross income including all investment income but excluding Social Security income. That income is estimated to be about $13 trillion in 2019. 2) $0.6 trillion - a 3% annual tax on the approx $20 trillion (and growing rapidly) wealth of the wealthiest 0.1%....the wealthiest 125,000 of households. They would continue to grow wealthier....just not as fast as otherwise. 3) $0.45 trillion - the elimination of all non-healthcare related welfare type spending....no longer needed because of the $18,000 ($36,000 for a 2-adult household). 4) $0.2 trillion - a 10% tariff on all manufactured goods. This assumes our last year's approx $2.4 trillion in imports of them fell by about 20%. A one-adult household paying an extra 15% on his/her gross income but receiving $18,000 tax free would have to be earning over $120,000 to come out worse and a two adult household paying 15% extra in tax but receiving two $18,000 tax-free UBI incomes would have to be earning more than $240,000 in order to come out worse (whether or not only one of them works or both of them work). 1) Many citizens would choose either to work fewer hours or even not at all. Barring excessive immigration, this would tighten the labor market and drive up wages. 2) The sources of this tax revenue would grow much faster than the 0.5% increase in the citizen population thus, as time goes on, there would be more revenue raised than would actually be needed. This could be used to reduce the deficit and/or the UBI could be increased from time to time. Maybe you are more familiar with specialized economic concepts, but folks like me understand GDP (Gross Domestic Product) - and GDP is used to compare financial conditions in various countries. 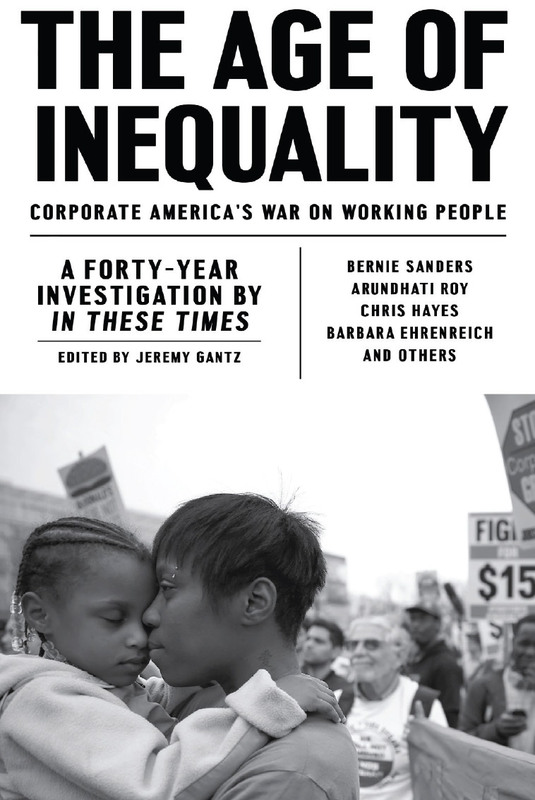 But by any meaningful measure, the wealth inequality in America is at historic levels. We are a wealthy country, but where I live (rural West Virginia), it is easy to see heartbreaking poverty. I worked for awhile for the US Census doing current economic status surveys and saw absolute discouragement so often. There is zero economic opportunity in areas in America like West Virginia. And with zero savings, potential workers cannot "move to where there are jobs". America needs to deal with our Great Depression II (since 2008), just as forcibly as FDR did for the original one. Of course, the "wiseass" professionals presently raking it in, don't want to hear about it. But listen up, before revolution comes. You're double counting wages and assuming zero tax revenue by using GDP instead of after-tax profits as I did. The flip-side of GDP is GDI (Gross Domestic Income) and that is comprised of After-tax wages + After-tax profits + Tax revenue (federal, state, and local) + (Exports minus Imports). Why are you using "total domestic profits" instead of GDP? I'm sure you do that because you have an axe to grind, i.e. attack any consideration of socialism. But, if we take American GDP which is roughly $20 Trillion and divide it by 350 million Americans, we get an average GDP/ American of about $57.000/year/person. Or an income of about $228,000 per year for a family of 4. That is, if national income were divided equally. And it damn sure isn't. We have working families in poverty and folks pulling in billions of dollars per year. Capitalism worked well for this country in the raw, frontier 19th Century, but it is time for America to become civilized. Our national goal should be for every working family to have a yearly income of about $50,000 (in today's money). That leaves plenty of surplus for the yachting class. After subtracting profits made by U.S. corporations on products they both produce and sell outside of the U.S., total domestic profits were about $1.2 trillion last year. And there are about 160 million people with a job in the U.S. If the govt confiscated all U.S. companies and gave them to the workers (or deficit spent about $25 trillion to buy them) and all profits were split evenly among all workers that would only amount to about $7,500 per worker or a lousy $3.75 an hour raise for someone working 2,000 hours per year........and wouldn't help at all the other 80 million adults who are not one of those worker/owners. Thank you for a cogent explanation of Democratic Socialism.